At the start of my career after college, I kept my work email open all day, so that I could respond immediately whenever anyone sent me an email about anything. That’s what conscientious people do, right? Well, my perspective shifted one day after I was accidentally cc’ed on an email by one of my clients. I had emailed this man and his assistant the day before, in regard to an upcoming deadline that we were trying to meet. When he responded the next day to his assistant, he accidentally copied me and told her there was no rush to get back to me because he knew I would “reply within 15 seconds anyway.” Suddenly, I wondered if responding to emails immediately might actually be a bad habit. Since then, my email habits have changed considerably. In this article, you’ll learn two main reasons why you should not respond to emails right away. Reason #1: Responding to emails immediately trains other people to be impatient. At the start of my career, my email habits trained my clients and colleagues to take me for granted and to be impatient. People knew that I monitored my email all day long, so they felt no urgency to respond to me in a timely fashion. They knew their email to me would be received and reviewed whenever they sent it. They also knew that I would respond right away if they needed something from me. On the rare occasions when I did not respond right away, clients would often call me on the phone, and colleagues would often just drop by my desk. “Hey Pete. Not sure if you got the email I sent you,” they would say, as if not getting a response within three minutes was evidence that spam filters had rejected their message. If you feel like the people around you expect immediate email responses, you might want to ask yourself if this expectation exists because you have conditioned them to be so impatient. That was definitely the case for me earlier in my career. Reason #2: Responding to emails immediately makes you slower and less productive. You obviously cannot respond to emails immediately unless you have your inbox open all day. And, if you have your inbox open all day, that means your attention will be divided all day. “Distracted” is a terrible way to go through your workday. As discussed here, multitasking is the worst and most common work habit in today’s workplace. Multitasking leads to more stress and more errors, and it makes it harder for you to produce higher quality work. A distracted person has to work much longer to produce the same output that a more focused person can produce in a shorter period of time. 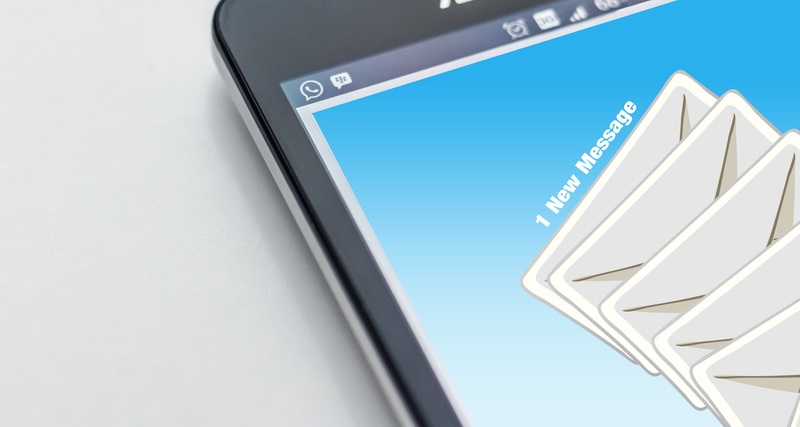 Why do we feel like we need to respond to emails right away? Some people feel like they are being productive by responding to emails immediately. However, do not confuse activity with productivity. You can spend your entire day dealing with emails, and still fail to accomplish anything of significant value. Real productivity is not just about being reactive and responding quickly to messages related to other people’s questions. Real productivity requires that you are proactive, that you “think outside your inbox,” and that you add unique value to your organization without being told what to do or how to do it. You won’t get a raise or a promotion based on how fast you respond to emails. Unless your primary job responsibility is to support someone else (like an executive assistant does), your performance is measured by much more important metrics than your email response time. How often should you check and reply to emails? Checking and responding to emails a few times a day (no more than once an hour) is usually sufficient. While some roles (like an executive assistant) may truly need to be available by email all day, few people have a job that actually requires or rewards such behavior. Why not establish a default setting to keep your inbox closed? You could still check it every hour, if you feel compelled to do so. It’s amazing how much real work you can get done when you aren’t chained to your work email all day long. These days, my default setting is to keep my inbox closed. I never check my work email (or personal email) more than once an hour, and I only check email after completing one or more of my top priorities for the day. This approach still makes it possible to respond to important messages within a couple of hours and always within 24 hours. However, I no longer feel any pressure or obligation to respond to anyone within 24 seconds. Since changing my email habits, no one has ever complained to me about my response times, and it’s amazing how much calmer and more productive I am each day. Why not give it a try? You might experience these same benefits. You might also find that people actually take you more seriously and value your time more when you do not respond to their emails immediately. P.S. Have you taken the free habits assessment at StrongerHabits.com? This assessment measures your current habits in four key areas that impact your energy, your stress, and your performance. You can click here to take the assessment for free. It takes less than 3 minutes, and you get your results immediately. How strong are your habits? About the author: Pete Leibman is the creator of StrongerHabits.com, the founder of Work Stronger Consulting, and the bestselling author of Work Stronger; Habits for More Energy, Less Stress, and Higher Performance at Work. His work has been featured on Fox News, CBS Radio, and CNNMoney.com. Pete Leibman is a consultant, speaker, and bestselling author who has been featured on Fox News, CBS Radio, and CNNMoney.com. His latest book, "Work Stronger; Habits for More Energy, Less Stress, and Higher Performance at Work" is an Amazon bestseller. You can visit WorkStrongerConsulting.com to meet Pete and learn more about his corporate programs.